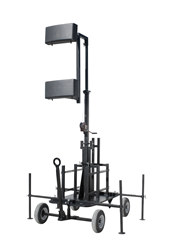 Larson Electronics, a leading industrial lighting company, announced the addition of a new rolling antenna cart to its growing catalog of products and offerings. 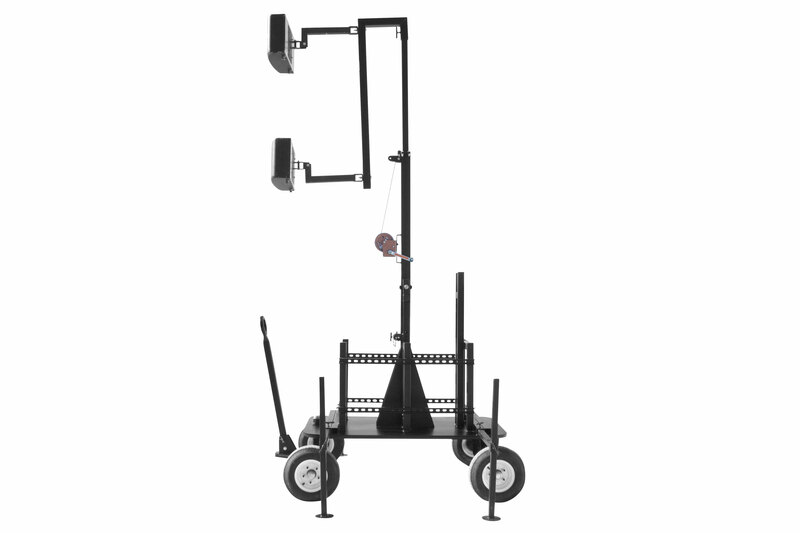 The antenna cart is designed to be a portable miniature cell on wheels to extend cellular coverage in large venues, such as stadiums, arenas and outdoor fields. This unit was used in the hosting venue for a Taylor Swift concert, and will be used by professional and collegiate football organizations. The WAL-ML-SAWC Mini Portable Cell on Wheels offers flexible coverage options for customers. The rolling antenna tower can hold up to two user-provided antennas on the masthead and four user-provided amplifiers on the cart base. 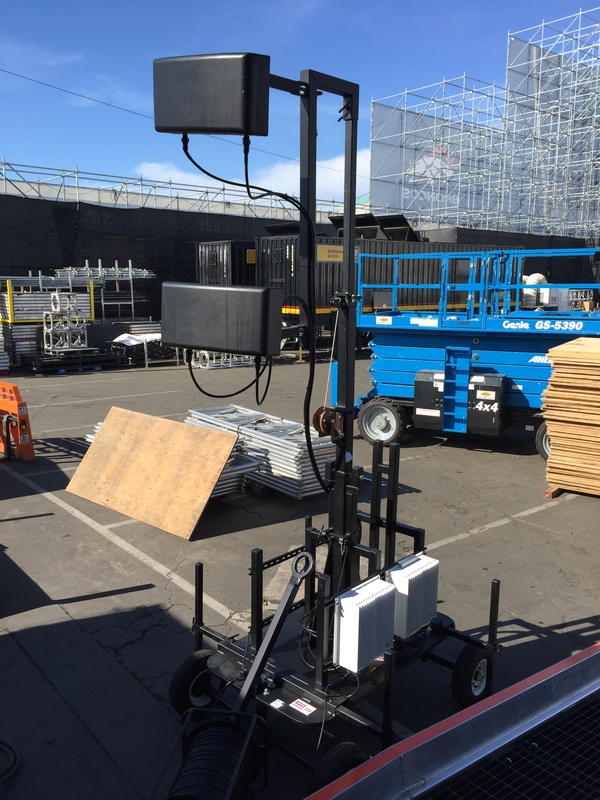 The unit can be used to support concerts, conventions and sporting events, including the 50th anniversary of The Big Game that was hosted in Santa Clara on February 7, 2016. When in use, the unit can be extended up to 13’ in height for wide coverage. A manually powered hand crank allows for seamless deployment and adjustment of the antennas. When stowed, the antenna cart collapses and folds to fit under most standard 7’ doorways found in large venues. Retractable outriggers situated within the corners of the cart offer additional stability and even support when the mast is elevated. This mini antenna tower is equipped with four rubber off-road wheels for seamless portability via ATVs, golf carts or manual maneuvering by hand using a built-in, extended handle. The handle is mounted to a front axle with a flexible pivot point which allows for 340° of rotation, allowing for tight turns. The tower is constructed of heavy gauge steel for durability, and a tough powder coat black finish provides protection against rust and corrosion. “This unit was used in the hosting venue for a Taylor Swift concert, and will be used by professional and collegiate football organizations. 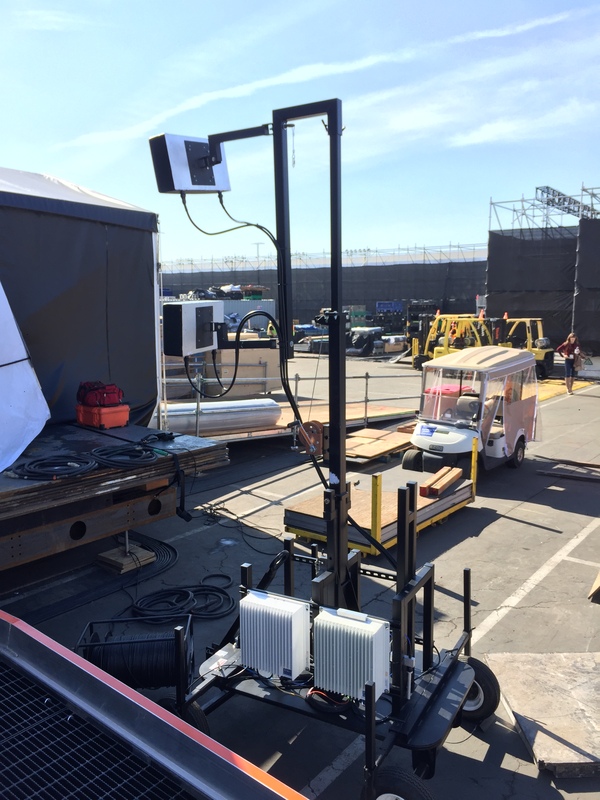 Similar units were used this past weekend during the culminating 50th anniversary of The Big Game in Santa Clara between Denver and Carolina to provide cell service to all spectators,” said Jeremy Blankenship, Lighting Designer for Larson Electronics. About Larson Electronics: Larson Electronics is a manufacturer of industrial lighting equipment and accessories. The company offers an extensive catalog of industry-grade lighting and power distribution products for the following sectors: manufacturing, construction, food processing, oil and gas, military, marine and automobile. Customers can benefit from the company’s hands-on, customized approach to lighting solutions. Larson Electronics provides expedited service for quotes, customer support and shipments.